Blood drips from the walls. A terrifying chill permeates through the rooms. Menacing eyes glow from the upstairs window and inside this charming Long Island home, an unspeakable evil lurks the halls, waiting to torment all who dare enter. Experience the ultimate in haunted house films…and delve deeper into the history of the films with vintage special features and all-new special features created for this deluxe collector’s set. 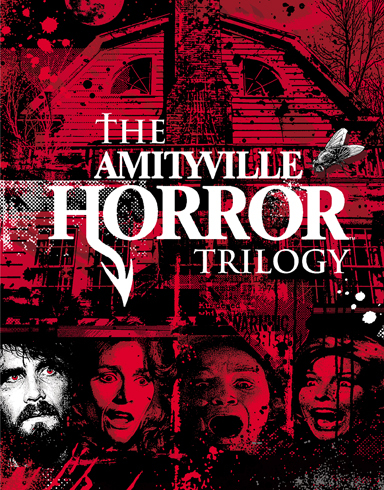 Experience AMITYVILLE 3-D like never before on home video ….in Blu-ray 3-D!